Lady looking down. 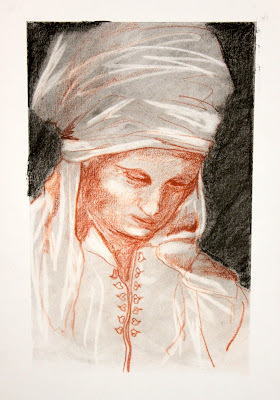 Drawn with sanguine Derwent pencil and charcoal. This sketch took about 20 minutes to complete.